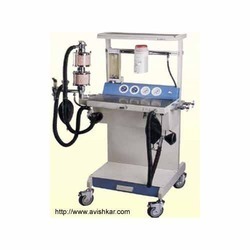 Under the strict supervision of expert professionals we manufacture medical equipments like Anesthesia & Critical Care Ventilators which is dimensionally accurate & superior functionality. Our ranges of ventilators are highly suitable for hospitals and nursing homes where centralized gas supply is not available. These are accessed at affordable prices. Nitro lock unit is optional in Economy Model for extra charges. For better patient care management, electronic fool proof audible alarm system ensures warning at once on fall in oxygen supply pressure irrespective of Nitrous Oxide supply. 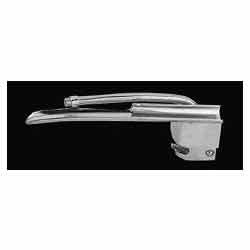 We provide a wide range of Laryngoscopes Standard Handle used for laryngoscopy. The range is dimensionally correct and tough wearing in construction. Our use of premium quality materials in the manufacturing of the Laryngoscope and appreciated for features like easy to operate and light in weight. We offer unmatched quality of Laryngoscopes Penlite Handle made using premium quality materials that are sourced from the reliable vendors in the market. 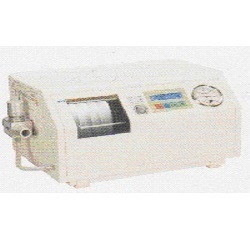 They are widely used in various Hospitals, Nursing Homes, and Healthcare Institutions. These are appreciated for features like lightweight and strong performance. 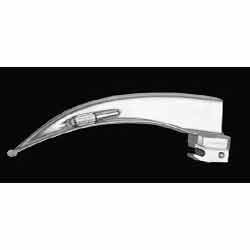 Clients can avail from us Laryngoscopes Macintosh Blades are made of high quality materials and are subjected to strict quality checks. These are available in various specifications based on the requirement of the client. They are available at a cost effective price. They are easier to be kept hygienic and purify and is safe for use in patients. 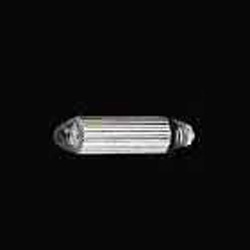 We are Leading manufacture and trader of Laryngoscopes Macintosh Blades . Durability and providing long lasting service. Clients can use them in various Hospitals, Nursing Homes, and Healthcare Institutions. 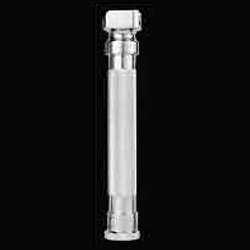 Clients can avail from us Laryngoscopes miller Blades are made of high quality materials and advanced technology. These are also subjected to various strict quality checks to deliver a defect free range to our customers. These are available in various specifications based on the requirement of the client. They are available at reasonable prices. 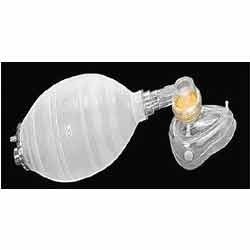 Size 4 Clear-hood facemask with silicone cuff, 1.5mtrs oxygen enrichment tubing, all in a carrying case. Set comprises 500 m1 self inflating double ended silicone bag with mounts & side feed oxygen inlet, Type "L"
Set comprises 240 m1 self inflating double ended silicone bag with mounts & side feed oxygen inlet, Type `L"
a) A unique autoclavable snug face mask which moulds virtually into any shape giving unparalleled patient seal, has a soft contoured cuff for superior patient comfort, allows clear view of patient lip colour / presence of vomitus / secretions, easy to clean because of one piece construction. b) These facemasks can be supplied in lieu of Clear-hood facemasks normally being supplied with the resuscitators. One Piece design ensures gentle yet excellent fit. Size 3 & 4 Clearhood facemasks, 1.5mtrs oxygen enrichment tubing, all in a carrying case. For patients between 7 & 30 kgs. 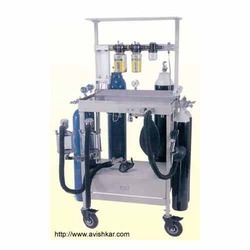 Set comprises 600m1 self inflating double ended bag with mounts & side feed oxygen inlet, Sanjivani nonrebreathing valve - type "E"
Plastic reservoir hose for delivery of air/oxygen mixture with Adaptor & 22mm Male blind end adaptor for resuscitation with 100% oxygen, all in a carrying case. Resuscitators Circular Paedi All Black Facemask offered comes in one piece design and provides for gentle yet excellent fit. We offer these face masks in different model options including AVI-2039 which has size 00 and is used by premature patients; model AVI-2040which is of size 0 and is used for infants; model AVI-2041 which has size OA and is used for small child and model AVI-2042 which has size OB and is used for child. As quality finished and high performance respiratory accessory, the mask also features presence of soft contoured cuff which provides for superior patient’s comfort. 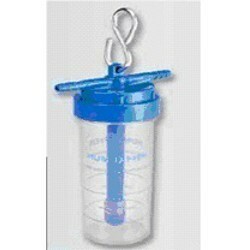 Can be easily dismantled and sterilized chemically or autoclaved upto 130°C. Transparent hood of the face mask allows monitoring of the patient for vomitus, secretion, blood, lip colour and condensation of exhaled moisture. 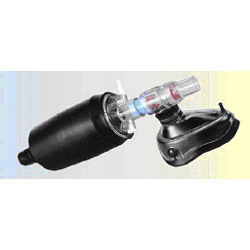 We are Leading manufacture and trader of Emergency Oxygen Unit Incorporates a non-return valves assembly along with a button for flushing the circuit with oxygen in emergencies. 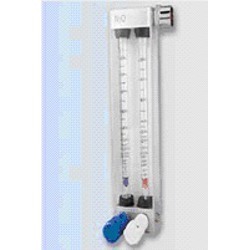 Emergency Oxygen Unit mostly used in hospitals. We manufacture these as per industry standared and best in quality. 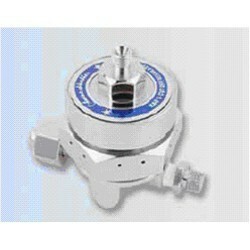 We are Leading manufacture and trader of Cut Off Regulator. 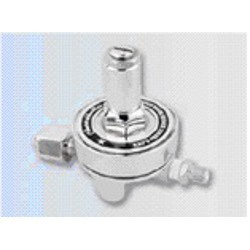 Theses Cut Off Regulator are made from quality raw material and as per industry. demands. To activate nitrous oxide regulators only when oxygen regulators are pressurized thereby minimizing the risk of administering nitrous oxide in the absence of oxygen. 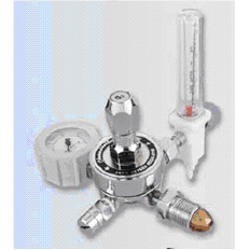 Designed for higher efficiency & reliability, preset regulators form a basic component of the apparatus. The outlets have non return valve to avoid back flow of gases. The Regulator has a factory preset fixed static outlet pressure of approx. 4.2Kg/cm (60Ibs/Sqin) and is fitted with safety valve. 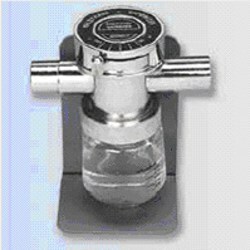 Note: The BPC Flow meter shown in the picture is an optional accessory and is not included with the regulator as standard supply. Yoke Compact Model offeredcan be made available by us in different finish specifications and model options to match up with the specific working needs of the customers. These can be made available in oxygen and nitrous oxide finish and come with color coded plastic cover as well as with anti-rust stainless steel finish. 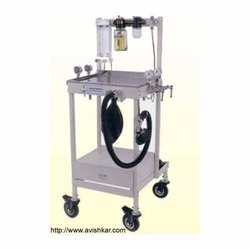 Some of its features include can be pin indexed for use on anesthesia trolley; available in single piece brass chromed finish for durable usage; can also be used in medical disaster situations, railways and other areas. 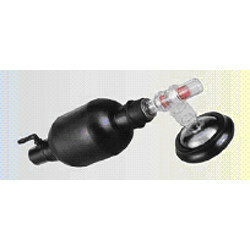 Nitrous oxide tube 200ml/min. to 12lit./min. Oxygen Tube : 100 ml. / min. to 81 Iit./min.